Total hip replacement continues to be a durable and successful operation for patients suffering from arthritis and other disorders of the hip. Most patients have a high rate of satisfaction following the procedure. The technology utilized in total hip replacements continues to advance. Robotic-arm assisted total hip replacements were first performed in 2010. Since that time, over 100,000 hip replacements have been performed world-wide with the aid of this technology. An essential factor that contributes to the longevity of hip replacements is the accuracy of the component placement. 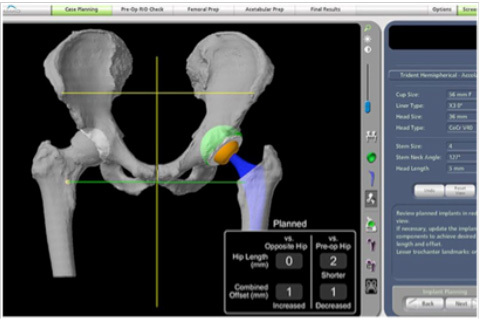 Several studies have demonstrated that the use of robotics during total hip replacement allows the surgeon to more accurately plan and place the components. In one study, the use of robotics helps achieve greater accuracy in preparation and position of the acetabular cup during total hip arthroplasty. Better placed total hip arthroplasty components may allow for enhanced functional and clinical outcomes. Before a patient undergoes a robotic hip replacement, a special CT scan is obtained. The CT scan is then used to construct a patient-specific 3-D model to plan the hip replacement on a computer. This patient-specific plan enables the surgeon to more accurately plan for implant size, orientation, and component alignment. During surgery, the surgeon uses the robotic-arm to help execute this individualized plan. The robotic system allows the surgeon to make adjustments to the patient’s plan during the operation as needed. Using robotic technology in hip replacements allows for a consistent level of accuracy not previously available to surgeons. This technology gives surgeons the ability to execute their patient-specific plan with a new level of precision. 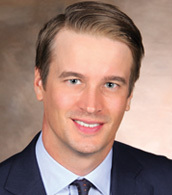 Dr. Harris sees patients in Altoona, Chippewa Falls, Rice Lake and Shell Lake.